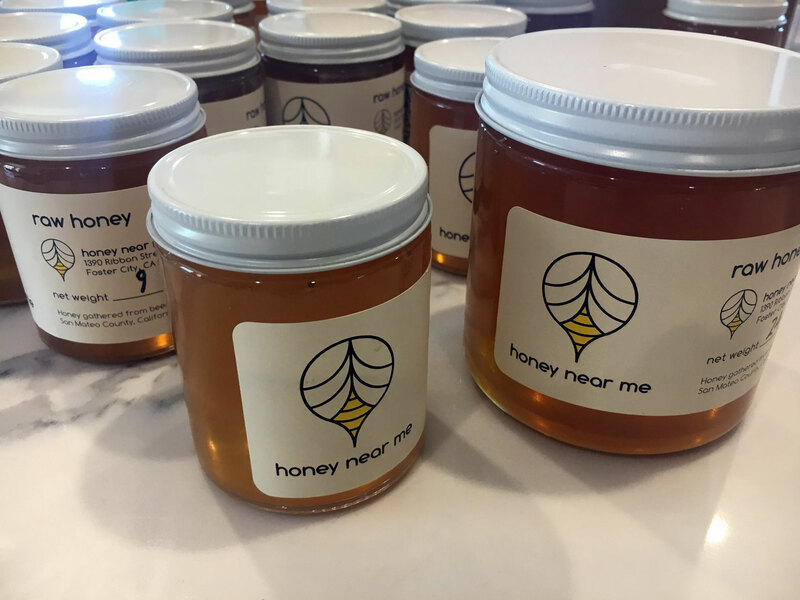 Honey Near Me offers delicious, raw honey gathered from bees in San Mateo County, California. LimeGlow Design enjoyed the opportunity to design a brand logo for Honey Near Me and create a label design for their honey jars. 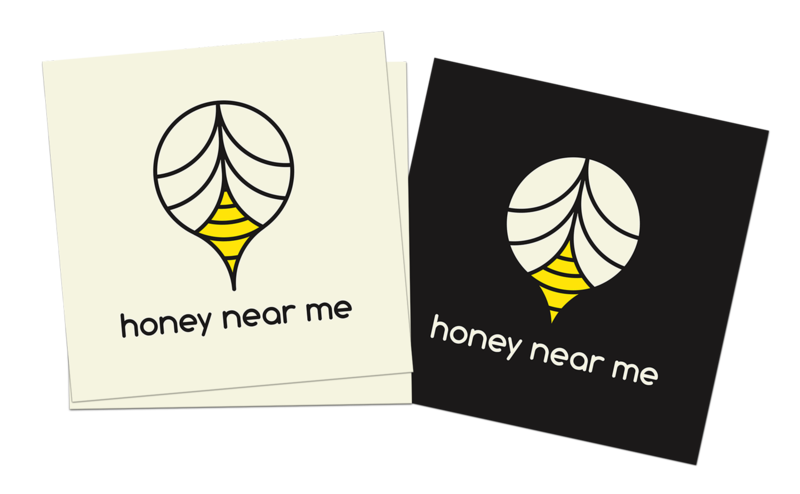 Honey Near Me logo created by LimeGlow Design. The logo combines elements of a bee with a map marker pin to reinforce the locally-sourced honey provided by the brand. 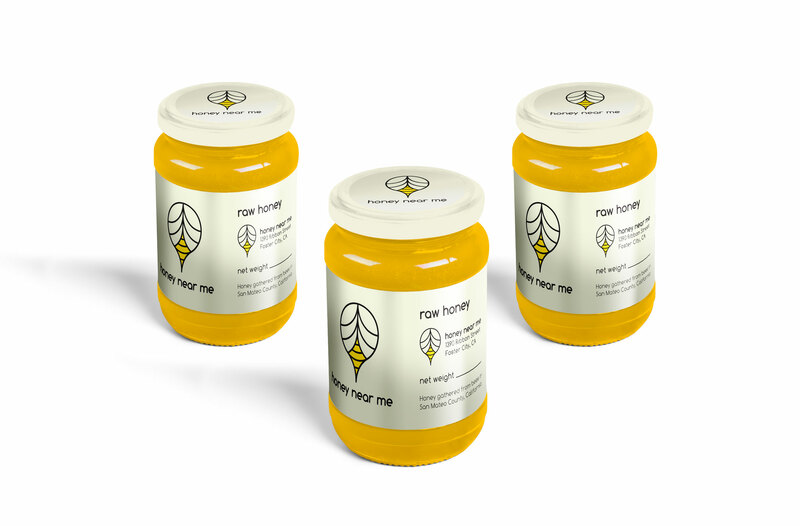 Product labels designed for Honey Near Me containing their new brand logo. The labels were designed for flexible use on multiple-sized jars, with a spot for entering the net weight on each label.